Encouraging people on their journey to discover extraordinary life in Christ. Our mission statement is a call to not only center our lives in Christ but to encourage others to take this journey. We encourage one another to commit their lives to Christ because we have experienced extraordinary life in following Jesus as Lord. Following Jesus as Lord is a journey of amazing joy and the challenge of experiencing profound change at the same time. We encourage because we have discovered that following Jesus means life! This extraordinary life is described in many ways: salvation, new life, transformation, being saved, maturing faith, discipleship, becoming aware. Each description represents profound change, a new orientation in life. The life, death, and resurrection of Jesus changes everything. Because he has been resurrected and lives, we are invited to live resurrected lives reflecting his love and glory. The Christian life is a highly personal experience lived in community. We are invited to experience love and forgiveness in a very real way, but faith is not a private matter. Faith is lived out in community. Below, you will find opportunities to mature as a disciple in community. Sharing our lives together as we study scripture, the Christian life, and share burdens will transform us in ways we never imagined. Let us commit to pray for one another as we seek to live out the call to Encourage one another on the Journey to Discover Extraordinary Life in Christ. For more information about these offerings, email Mary Honeycutt or call her at 919.847.1536 x110. There is also a printed booklet available in the church office or on the blue information carts in the lobby and Atrium, or on the information wall in the Youth Center. 8/28-11/28 Tuesdays, 6:30 p.m.-7:45 p.m. This 12-week study is perfect for all who are looking for a broad introduction to Scripture or who are looking to go deeper in Scripture. Participants will read a manageable 3-5 chapters of the Bible in preparation for our meetings where we’ll discuss key themes and questions. Questions? Email Ashley Will or call her at 919.847.1536 x114. 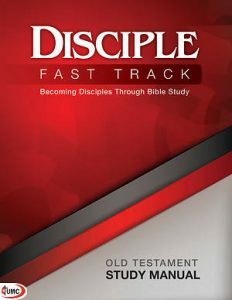 This study is ideal for busy people who are wanting to fit an in-depth Bible study into their schedule. We’ll deepen our understanding and appreciation for Scripture together as we read Genesis and Exodus. 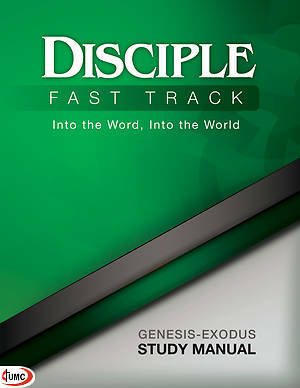 Participating in Disciple I is encouraged, but not required, to attend. Join us on Tuesday mornings for informal discussion led by Pastors Duke, Alan, and Ashley. In September, we’ll discuss more in-depth our “You Asked For It” series, in October, we’ll learn about a life of generosity, and in November, we’ll learn more about the process of becoming ordained in The UMC. Join this group of seasoned adults for breakfast and active discussion of Scripture. The time begins with a light breakfast, and then prayer concerns are lifted up. The format is freewheeling discussion, as all opinions are welcome. Members take turns in starting the discussion each week and every week everyone takes turns in reading Scripture out loud. Everyone is welcome! Join other men as we walk in faith, discussing how to live the Christian life. Questions? Email Judson Salter or call him at 919.818.6139. Ongoing beginning 9/4, Tuesdays, 9:30-11:00 a.m.
Moms of children of all ages are invited to journey together through study, prayer, and fellowship. Our focus will be supporting one another in prayer and searching scripture to better understand God’s love for us. This group will meet each week during the traditional school year, and new members are welcome to join at any time. Child care will be provided. To register, click here. Questions? Email Cassidy Plunkett or call her at 919.847.1536 x103. Join the “under 35” crowd on Tuesday, 9/4, from 6:30-8:00 p.m. at the Will house for an informal “Meet-n-Greet.” We will discuss becoming an ongoing small group for young adults. 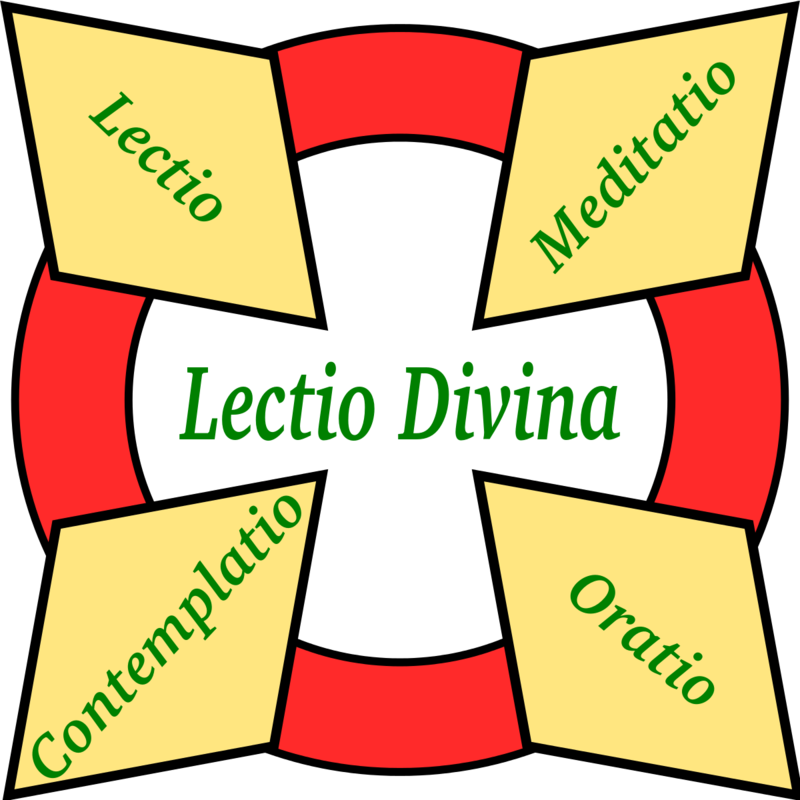 Lectio Divina is an ancient monastic practice which means “sacred reading.” A short scripture reading is prepared, and time for journaling, reflection, and discussion takes place. Questions? Email Melissa Auten or call her at 919.810.8593. There is a hidden meaning, a hidden beauty, in life’s most ordinary moments. It is the beauty of the human heart revealed, where what we have in common is greater than what keeps us apart. If we can learn to see the beauty in these moments, whether they are in the light or in the shadow, we become witnesses to the spiritual, and testimonies to the sacred. We become true artists of the ordinary, and our life becomes a masterpiece, painted in the colors of the heart. Join us on this holistic view of wellness and wholeness, addressing our heart (relationships and emotions), soul (spirituality, rest, and play), mind (vocation and organization), and strength (resilience and care for body). Questions? Email Janet Striegel or call her at 919.488.4104. Join us as we study, discuss, and learn more about modeling for our children the life of discipleship. We will consider together biblical principles offered as tools for guiding us through parenthood and family life by the grace of God. Childcare provided. Discover the Gospel truth about the most myth-understood woman of the New Testament. Was Mary Magdalene a prostitute? An adulteress? The wife of Jesus? An ancient goddess? Best-selling author Liz Curtis Higgs combines heartfelt contemporary fiction with extensive biblical research this woman to life. Childcare provided. Questions? Email Laurie Scott or call her at 919.844.7854. Written in the author’s warm and vulnerable style, this collection of essays focuses on a critical transition in Shauna’s own life: leaving behind busyness and frantic living and rediscovering the person she was made to be. Present Over Perfect is a hand reaching out, pulling you free from the constant pressure to perform faster, push harder, and produce more, all while maintaining an exhausting image of perfection. Shauna offers an honest account of what led her to begin this journey, and a compelling vision for an entirely new way to live: soaked in grace, rest, silence, simplicity, prayer, and connection with the people that matter most to us. Questions? Email Kristi Reeves-Pennington or call her at 919.841.1830. We will journey through 2 Corinthians, exploring the anchoring truths of bearing treasures in jars of clay, meeting Christ through a pressing thorn, opening wide your heart in the midst of hurtful relationships, and what it means to embrace the lost and lonely as ministers of the new covenant. Each of us has a message to proclaim and live by: Because of Jesus, the old has gone and the new has come. Questions? Email Mary Louise Stockett or call her at 919.848.8080. For moms, some days it’s easy to count blessings and others are more challenging. Together, we’ll journey through topics like the power of thankfulness, how to declutter our lives, how to trust God with our children, and more, as we discover how to be grateful in the good times and bad, and how we may be a blessing to others. Questions? Email Cassidy Plunkett or call her at 919.847.1536 x103. The NRUMC Men’s Book Club offers men an opportunity to enjoy fellowship and conversation. Meetings are informal and hosted in members’ homes. The first fall meeting will be September 17 discussing Conclave, a fictional account about the selection of the Pope by Robert Harris. In November, we’ll discuss Born a Crime by Trevor Noah. Questions? Email Ted Kunstling or call him at 919.787.5282. Elizabeth is barren, yet her trust in God remains fertile. Mary is betrothed in marriage, yet she is willing to bear God’s Son. Anna is a widow full of years, yet she waits patiently, prayerfully for the Messiah to appear in the temple courts. Following in their footsteps, you too can prepare for the Savior to enter your heart, your mind, and your life in a vibrant, new way. What if it really wasn’t that hard to find more peace, more quiet, more room in your heart for the Christ child to be born? Hawkins will guide you—calmly and simply—through the busy season of Advent, and you’ll come out of the four weeks more centered, rested, and spiritually renewed. Instead of doing more and moving faster, find a way to reflect more, worry less, and connect authentically to the season with the grace-filled wisdom of Simply Wait. Questions? Email Ashley Will or call her at 919.847.1536 x114 for a list of participating Sunday School classes and other opportunities to participate in this study. Or you can visit the Advent 2018 Schedule to see what groups are participating. Be sure to pick up an Advent Schedule information card off of the blue information carts in the Atrium or Lobby. Come explore all of the ways to grow as disciples this winter and spring at North Raleigh UMC! With unforgettable insights and powerful life application for today’s women, Liz Curtis Higgs delves into the biblical text to help us view Easter through the eyes of three women named Mary, each of whom has a life-changing encounter with Jesus: Mary of Bethany, who prepares the way for the Lord’s burial when she anoints his feet and fills the air with her perfume; Mary of Nazareth, who remains by his side from his first breath to his last, her loyalty unwavering; and Mary Magdalene, delivered of seven demons, who bravely supports her teacher through his darkest hours, then proclaims the glorious news of his resurrection. Your mind and emotions will be engaged and your faith strengthened as each scene unfolds, preparing your heart for a richer, deeper Easter experience. Women everywhere marvel at those “good girls” in Scripture–Sarah, Mary, Esther–but on most days, (if we’re honest) we see in ourselves the selfishness of Sapphira or the deception of Delilah. We catch a glimpse of Jezebel’s take-charge pride or Eve’s disastrous disobedience. Like Bathsheba, Herodias, and the rest, today’s modern woman is surrounded by temptations, exhausted by the demands of daily living. So what’s a girl to do? Learn from their lives, says beloved Bible study teacher Liz Curtis Higgs. Higgs combines a contemporary retelling of the stories of these “other women” in Scripture with a solid, verse-by-verse study to teach us how to avoid their tragic mistakes and joyfully embrace grace. Ongoing beginning 1/8, Tuesdays, 9:30-11:00 a.m.
Join us on Tuesday mornings for informal discussion led by Pastors Duke, Alan, and Ashley on a rotational basis. In this book, Adam Hamilton explores how, with God’s help, we can make love last. Drawing upon a survey of thousands of couples and singles, interviews with relationship and marriage therapists, the latest research in the field, and wisdom from the Bible, Hamilton looks at what it takes to create and sustain healthy, meaningful romantic relationships across the course of a lifetime. Childcare provided. 1/15-4/9 Tuesdays, 6:30 p.m.-7:45 p.m. This 12-week study is perfect for all who are looking for a broad introduction to the New Testament or who are looking to go deeper in Scripture. Participants will read a manageable 3-5 chapters of the Bible in preparation for our meetings where we’ll discuss key themes and questions. 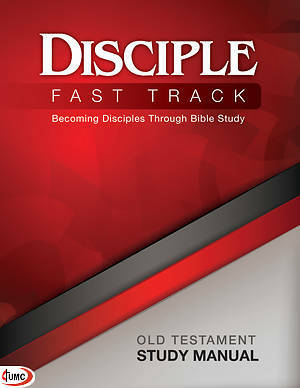 Participation in Disciple I Fast Track: Old Testament is encouraged but not required. This study is ideal for busy people who are wanting to fit an in-depth Bible study into their schedule. We’ll deepen our understanding and appreciation for Scripture together as we read Luke and Acts. Participation in Disciple I is encouraged, but not required, to attend. Mary Magdalene is one of the most influential symbols in the history of Christianity—yet, if you look in the Bible, you’ll find only a handful of verses that speak of her. Cynthia Bourgeault examines the Bible, church tradition, art, legend, and newly discovered texts to see what’s there. 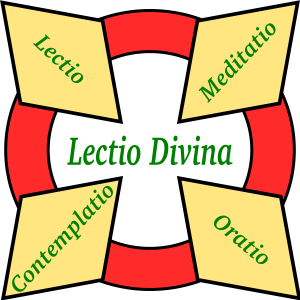 She then applies her own reasoning and intuition, informed by the wisdom of the ages-old Christian contemplative tradition. What emerges is a radical view of Mary Magdalene as the disciple Jesus considered to understand his teaching best. That teaching was characterized by a non-dualistic approach to the world and by a deep understanding of the value of the feminine. Cynthia shows how Christians can, through Mary Magdalene, find their way to Jesus’s original teachings and apply them to their modern lives. Often we make a mess of our lives and wonder if there is any redemption. In this book, pastor and author Tom Berlin helps us see our mess through the eyes of Christ to find redemption and restoration. Using Scripture, devotional tools, and the writings of Ignatius of Loyola, John of the Cross, St. Augustine, John Wesley, Evelyn Underhill, and others, Berlin encourages reflection and meditation through our own brokenness. Only then can we focus on the cross as the place where we truly surrender control, leave our mess, and find redemption. Questions? Email Ashley Will or call her at 919.847.1536 x114 for a list of participating Sunday School classes and other opportunities to participate in this study. Questions? Email Ashley Will (919.847.1536 x114) or email Alan Felton (919.847.1536 x104). Following the mission “project” on First Wednesdays, you’re invited to stay for a time to engage with various topics led by our pastors, ranging from why we do what we do in worship, what the Sacraments mean to how our faith impacts our lives. New to the community? Or, a “veteran” in the community and looking to learn more about getting involved, Methodist beliefs, and how our unique faith community lives into its mission? Join us for our New Member class, a series of four sessions on Sundays. The fourth session is the only required session in order to join. Questions? Email Mary Honeycutt or call her at 919.847.1536 x110. 10/20 & 3/23, Saturdays, 8:00 a.m.-4:00 p.m.
God gave us each gifts “for the work of ministry, for building up the body of Christ” (Ephesians 4:12). In this workshop, we will not only take spiritual gifts inventories, but also look at our passions, feedback from others, most-admired people, and the patterns we name in Jesus’ ministry to learn more about where God is calling us next. Join the young women of North Raleigh for a time of rekindling old friendships, meeting new friends, and experiencing the beauty of God through the gift of nature and community—all right outside of Chapel Hill, NC. We’ll read together and discuss Jen Hatmaker’s hilarious, real, and hopeful Of Mess and Moxie. Join the women of NRUMC for a time of connection with God and with one another in the beautiful mountains of North Carolina at the Lake Junaluska Retreat Center May 6-8, 2019. We’ll discuss together Henri Nouwen’s Life of the Beloved, a profound and meaningful exploration of our identity as beloved children of God: taken, blessed, broken, and given. Come and experience rest, friendship, and spiritual growth. Questions? Email Ruby Rosbach (or 919.607.3545) or email Ashley Will (or 919.847.1536 x114).